The number of robberies in Milton Keynes has increased by more than a third, according to the latest police recorded crime statistics. Office for National Statistics data shows there were 217 reported robberies between July 2017 and March 2018. That figure is up 35% on 2016-17, when 161 incidents were recorded. The statistics are based on crimes recorded with the police, and the ONS urges caution in interpreting some of these figures. However statisticians said there appears to be a genuine rise in robberies. Joe Traynor, from the ONS Centre for Crime and Justice, said: "Over recent decades, we've seen continued falls in overall levels of crime but in the last year the trend has been more stable. "We saw rises in some types of theft and in some lower-volume but higher-harm types of violence." Overall, police recorded crime in Milton Keynes increased between July 2017 and June 2018. Over the 12 month period, 22,472 crimes were recorded, up by 12% on 2016-17. That means there was a rate of 84 crimes per 1,000 residents during 2017-18, the same as the England and Wales average. Despite nationally rising, gun and knife possession offences in Milton Keynes have dropped by one, to 187 incidents. Across England and Wales, the number of recorded homicides rose by 14%, reflecting an "upward trend" since 2014. These figures excluded people who died in terror attacks. There was a 9% increase in offences with knives or sharp objects, leading to the the highest number of incidents since March 2011, when comparable records started. 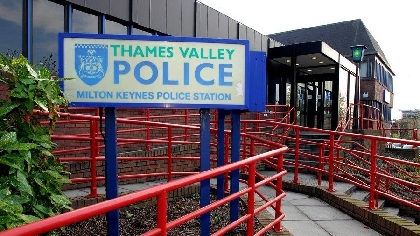 In Milton Keynes theft, one of the most high volume crimes, slightly increased by 1%. Drugs related offences rose by 14%. Commenting on the national figures, Chief Constable Bill Skelly, of the National Police Chiefs' Council, said: "Rising crime is placing greater demand on policing, as forces strive to reduce crime as well as respond to a growing terrorist threat. "There are also more calls from the public for help, including responding to people in crisis when other agencies lack their own capacity." Mr Skelly said the gap in numbers between reported crimes and criminals being charged is a "real concern for us". "The upcoming spending review is a crucial opportunity for the Government and police leaders to come to a consensus about police demand, our capabilities to meet it and the funding required," he added. Criminal damage in Milton Keynes, which includes arson and vandalising cars and houses, has gone down, from 2,710 incidents in 2016-17, to 2,615 in the latest figures. In Milton Keynes there were 698 incidents recorded between July 2017 and June 2018, an 11% rise on the previous year, when 629 crimes were reported. There were also 809 cases of stalking and harassment reported over the same period. John Apter, chairman of the Police Federation for England and Wales, commented: "It didn’t take a crystal ball to predict these shocking increases because they only reflect what we have been telling the Government for years – we need more boots on the ground." Labour described the ONS statistics as "truly shocking" and accused the Tories of "failing in their duty to protect the public and keep our citizens safe". Shadow home secretary Diane Abbott said: "These figures are a tragic indictment of this Tory government's policies." The Government announced a £200 million Youth Endowment Fund to support "young people at risk of involvement in crime". Mr Hurd added: "On top of this, we are consulting on a public health approach to serious violence and giving police extra powers to tackle knife crime through our Offensive Weapons Bill."